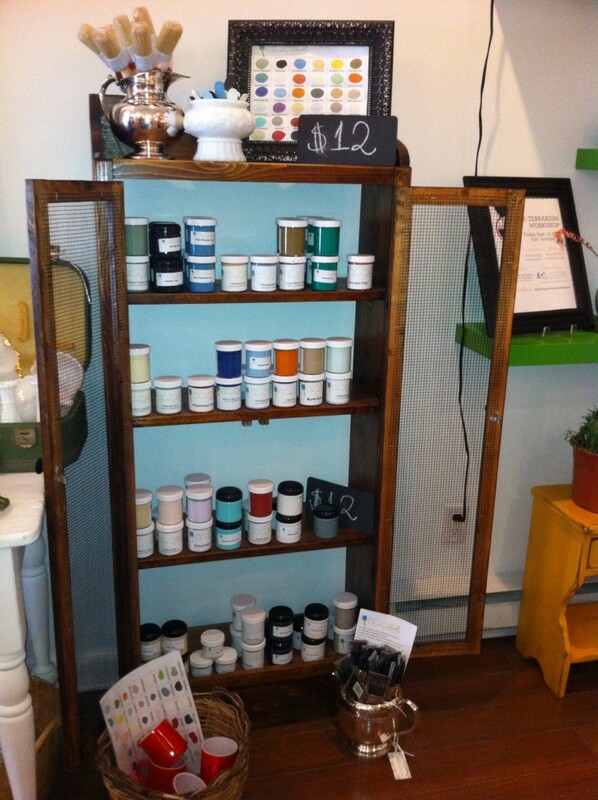 I just got a space in a new shop in Lower Lonsdale in North Vancouver! In Good Company is a co-operative, filled with 14 local small businesses. We have a bit of everything: baby and mom products, fashion accessories, designer cookies, home decor and vintage furniture, of course! I am thrilled to be part of such a wonderful concept! 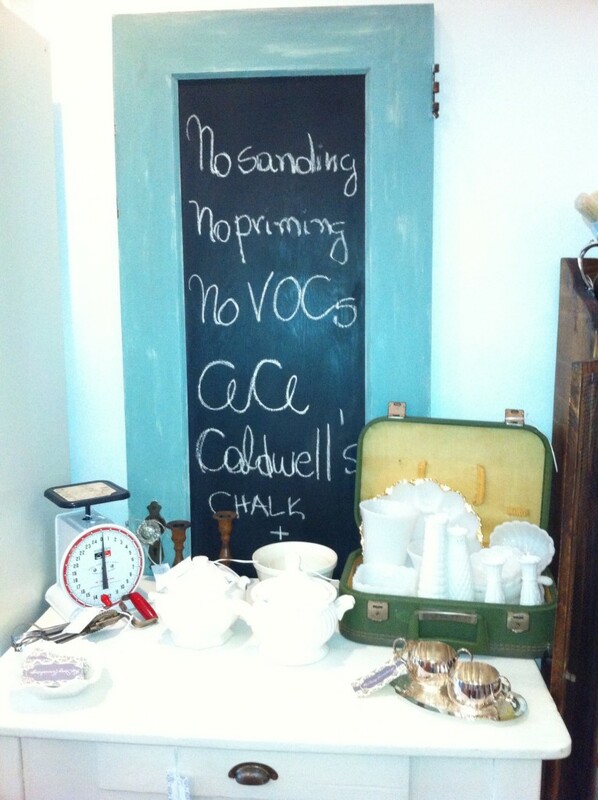 Now my clients can come, shop and learn more about Cece Caldwell’s Paints! My space is quite small, but I managed to put a few things in there! This is already my second “vignette” and my plan is to change every two weeks! 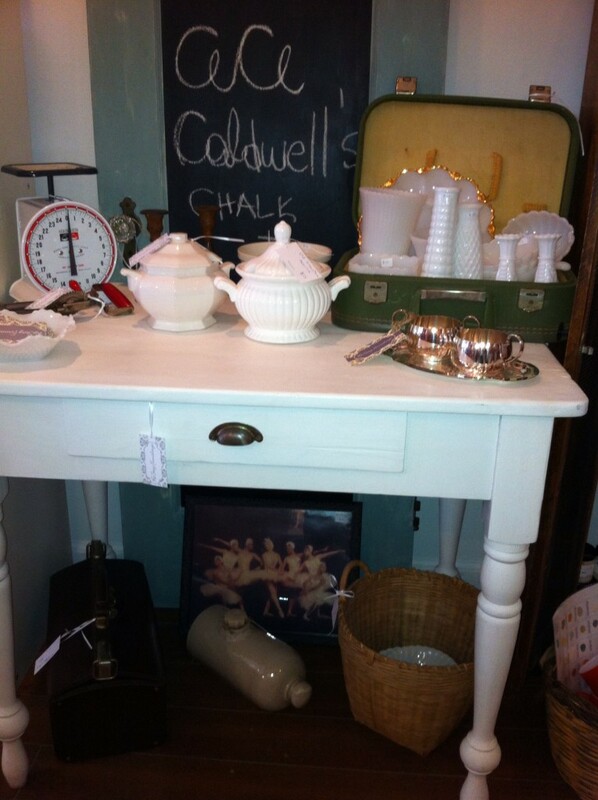 I love this kitchen table, as well as the milk glass and ironstone! Everybody needs an old scale and egg beater, right??? I am surprised this chalkboard door is still with me! I love it. It is an old closet door, with the original glass knobs. I am debating which colour to paint this little bookshelf! It is perfect to showcase the paint in this space! 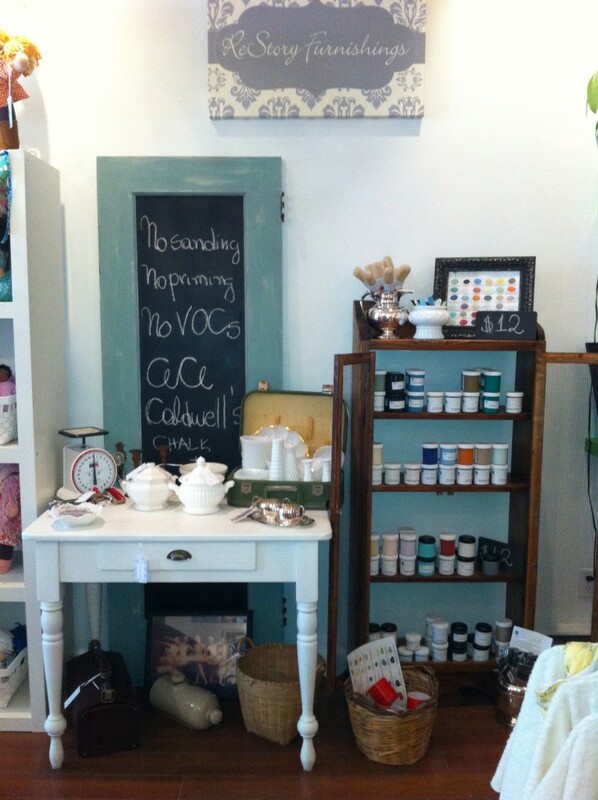 If you live in the Lower Mainland, drop by to see our beautiful shop! There is really a little something for everyone! We are open everyday from 10am to 6pm. We are also open 6pm to 8pm on Thursdays and Fridays until the end of Summer. ← House Updates, Paint, and Refresh Market!